YOU CAN DO IT! Don’t let what doesn’t sit right with you become that bitter pill you swallow at the end of the day. 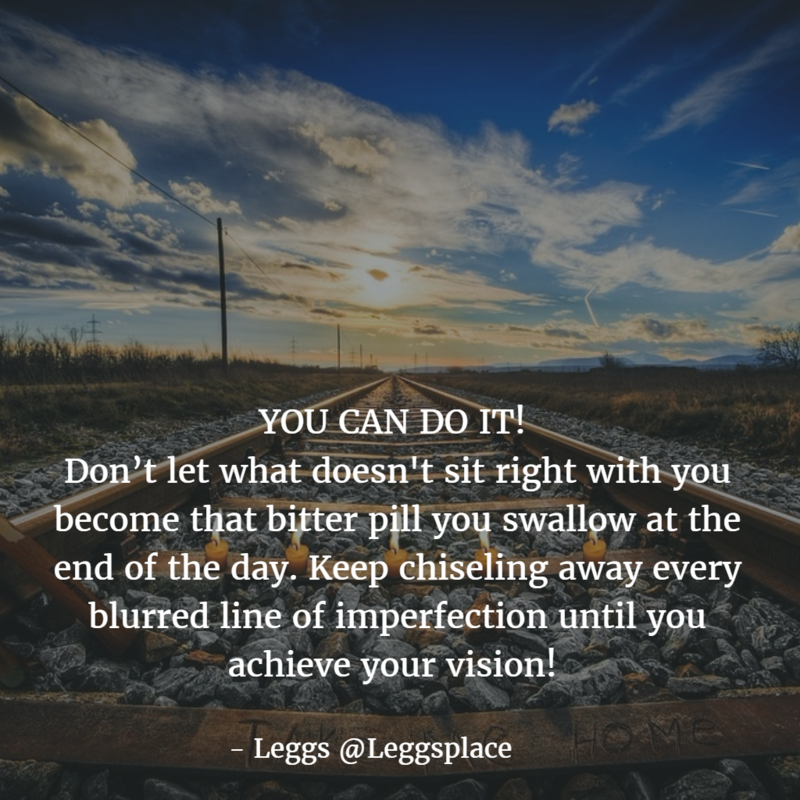 Keep chiseling away every blurred line of imperfection until you achieve your vision!